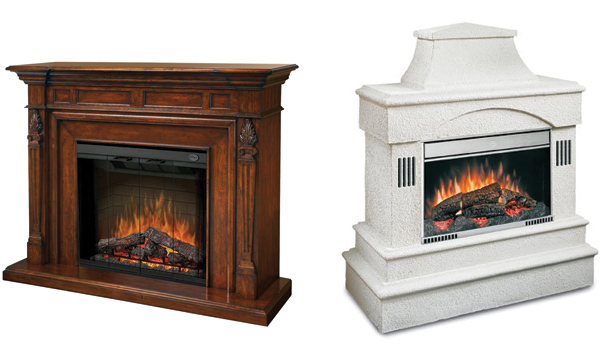 Fireplaces | Grass Roots Energy Inc.
Below you will find Information about the different kinds of Fireplaces we offer. An Airtight Wood Burning Fireplace slowly allows air to combine with the wood. This allows the fire to be controlled, and to last for 6 to 8 hours, building up heat inside the firebox. This hot firebox temperature causes the mass of cast iron, or steel to soak up the heat, and to radiate or convect the heat into the house. Available in a wide variety of sizes to heat any size area. A Direct Vent Fireplace does not require a chimney, and can vent horizontally out a sidewall or vertically to the roof. The direct vent fireplace also has a completely enclosed chamber that is highly efficient, drawing in air for combustion from the outside and expelling gasses to the outside as well. The front glass enclosure is porous, allowing radiant heat to pass into the room. 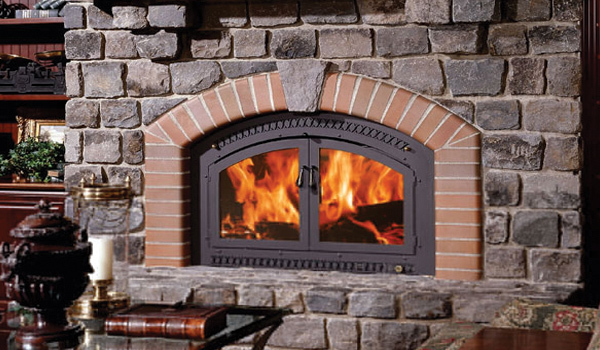 Natural Drafting Fireplaces are the most common fireplaces. The can be site built masonry fireplace or factory built fireplaces. These fireplaces can burn wood or gas. These type of fireplaces are decorative. If you want to feel heat, you must flood these types of fireplaces with fuel. These are costly to run because 95% of the make-up air comes from the house. Homeowners have already paid to heat the air in their house. When they burn their traditional, natural drafting fireplace, they remove the air they have paid to heat. A Gas Burning Natural Drafting Fireplace with very little heat gain. 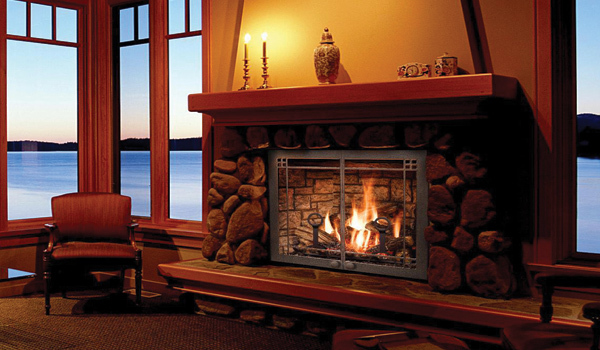 B-vent fireplaces do not have a sealed glass front, and are based on natural air convection. Their efficiency is limited and they can be a cause of poor indoor air quality. This type of fireplace is not commonly used in the Midwest. A Ventless Fireplace works in the same fashion as a traditional fireplace, however they are ventless; meaning they are not required to use chimney, flute or duct system to vent outside. This decreases the installation and labor costs behind a ventless fireplace. They are an excellent heating source for single rooms; they cannot be used to heat more than one room in a building. There is some health and safety concerns with ventless fireplaces and many states and cities have laws regarding ventless fireplaces. These concerns are related to carbon monoxide & oxygen depletion. When choosing a ventless fireplace you’ll need to consider a few things, because no fire can be ventless it’s important to remember a few things. You need to pay close attention to amount of BTUs a ventless fireplace has, this helps you figure out what room size it can be installed in. You DO NOT want to install a ventless fireplace that is to large for a specific size room. This is what causes issues with carbon monoxide and oxygen deletion. You cannot use a ventless fireplace as a primary heating source, instead it should be considered as a secondary source, but can provide heat during periods when the electricity is out. 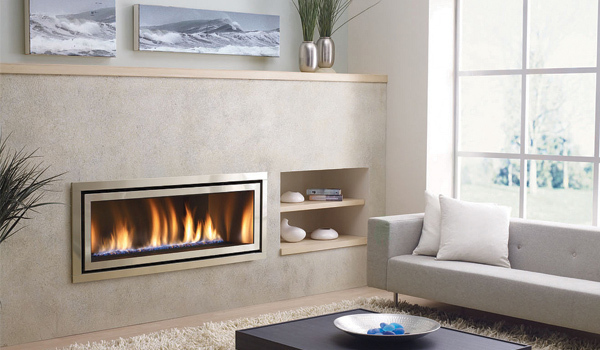 Electric Fireplaces are electric heaters that mimic the look of a wood burning fireplace. Electric fireplaces provide advanced realistic fires. Flame effect can operate with or without heat. Electric fireplaces are safe, clean simple to install and maintain, just plug in. Can heat up to 400 square ft.